All alumnae and guests are invited to this festive complimentary event on Souby Lawn to visit with current and former faculty members and to reunite with classmates and friends. for all 4’s and 9’s! As we begin to count down the weeks, I hope you will enjoy glimpses into the past and the anticipation of seeing familiar places, catching up and simply being together again. After all, that’s what reunions are for—coming “home” to Harpeth Hall and reconnecting with friends from far and near. See you soon around Souby . . . Good Time in 2-0-1-9! 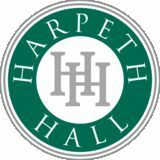 ow is the time to make plans to see old friends at our Harpeth Hall Reunion on May 3rd and 4th! As the overall Reunion Chair, I am excited to join you and your enthusiastic class co-chairs in making this a fabulous reunion. Honeybear Homecoming 2019 is all about reminiscing, renewing bonds, and creating new memories. Register online for all Reunion events. Just go to HarpethHall.org and click on the REUNION 2019 button. “American Byways” PERFORMANCES May 2, 6:30 p.m. • May 3, 6:30 p.m. May 4, 2:00 p.m. and 7:00 p.m.